It was a dark and stormy day... With raindrops the size of marbles and puddles as deep as some wading pools, this was the Vancouver David Duchovny hated. No wonder he always wore a long coat and carried a flashlight... For me, I had to drive all the way to Ladner in rush hour traffic. Due to some really crappy decision-making, I traveled through Vancouver and even attempted to cross the Knight Street Bridge. When I called Snake Eyes to say I would be late, he laughed at my foolishness. So when it came to eats, I had to step it up. No usual stuff, no chain restaurants and certainly no Richmond. Imagine the traffic in this wea ther! So I suggested Riddim & Spice. Good ol' Caribbean comfort food on a dreary day. Surfer Girl, who joined us despite a bum leg, started with a Beef Patty (as did Snake Eyes as well). I'm not completely sure, but these closely resemble the one from Calypso. So putting one and one together (which really hurt my head...) I figured they were supplied from Calypso (since they supply many of the Caribbean restaurants in town). Someone correct me if I'm wrong. These were flaky and slightly spicy. The meat filling was smooth and really hot (temperature-wise). However, I still love the ones from The Patty Shop more. For myself, I started with an side of Fried Plantain. 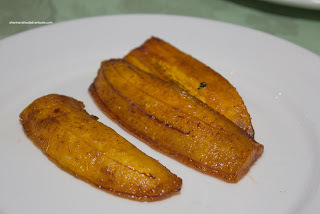 Looking a little like Bananas Foster without everything that goes into a Bananas Foster (if that makes any sense), these were starchy as plantains normally are. They were only slightly sweet and a delight to eat. 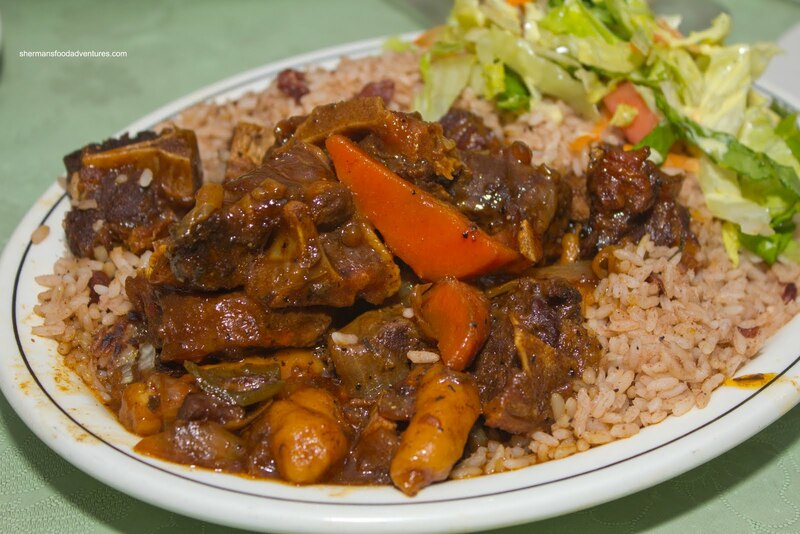 For my main, I went for the large order of Oxtail with beans and rice as well as salad. They weren't kidding, this was really large. Not really a great idea for lunch eh? Consisting of small pieces of stewed oxtail, carrots and spinners, this would've filled me u p nicely without the rice. Most of the oxtail was moist and gelatinous with a few that were a touch dry. There was a good balance of flavours where the rice soaked up all of the meatiness in the sauce. I found the spinners to be a bit dense while still easy to eat. I originally suggested the Jerk Chicken to Snake Eyes because he can be a jerk sometimes... not! Instead, Surfer Girl took up the recommendation and had the more modest small portion. When it arrived, it really didn't look all that small! I guess they are working with US sizes apparently... Anyways, the chicken was moist and tender. There was plenty of sauce, which was slightly sweet, but not overly so. Snake Eyes shockingly went vegetarian on us and got the Veggie Roti. Was it to maintain his girlish figure or was he trying guilt me? I was having a big plate of meat after all... Nah, I just mocked him throughout the meal asking if he wanted to try my meaty tail... Er... Well, this roti was really large jam-packed with ingredients. Too bad it consisted of woefully overcooked and pale-looking veggies. The peas looked as if they came from a can. Snake Eyes really didn't enjoy this bland, wet mess of a roti. They have nothing on Rehanah's in Port Moody. Maybe he should've had a meat one instead? That probably would've made the difference. 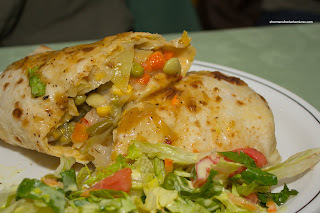 Other than the roti, the food was generally decent here. 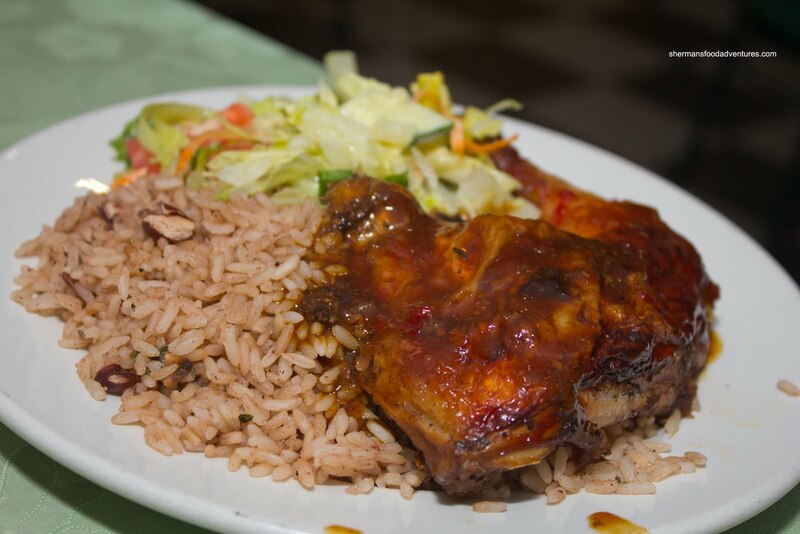 Of course it is all relative since there are not that many choices for Caribbean food in Vancouver. 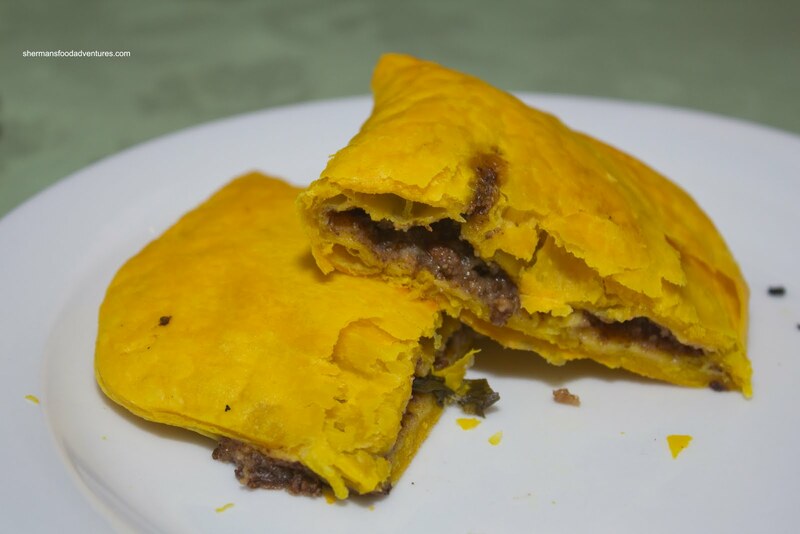 I like the patties from the Patty Shop too. Brings back memories of university days. 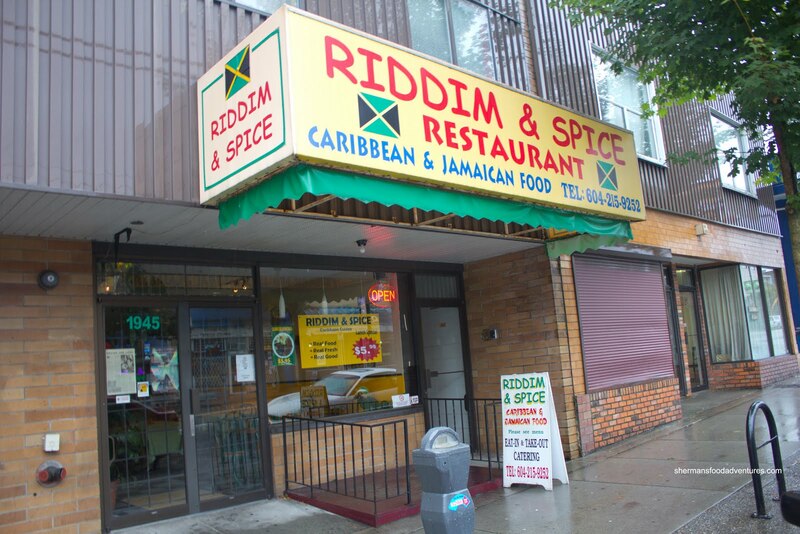 When I was living near the Drive, this was one of my favourite places to eat. Tasty comfort food. They had piranhas in their fishtank - something that we checked out while we were waiting for food. @Holly Yup, the patty shop rocks! @Ginseng Depending on what you order, yes, the food can be good.